GALLERY — BANTY RED TOBACCO & ALE CO. RECENT AUCTION HIGHLIGHTS FROM BANTY RED TOBACCO & ALE, CO.
Beautiful skin tones and warm, radiant hues with razor-sharp detail. A truly magnificent low-population offering. 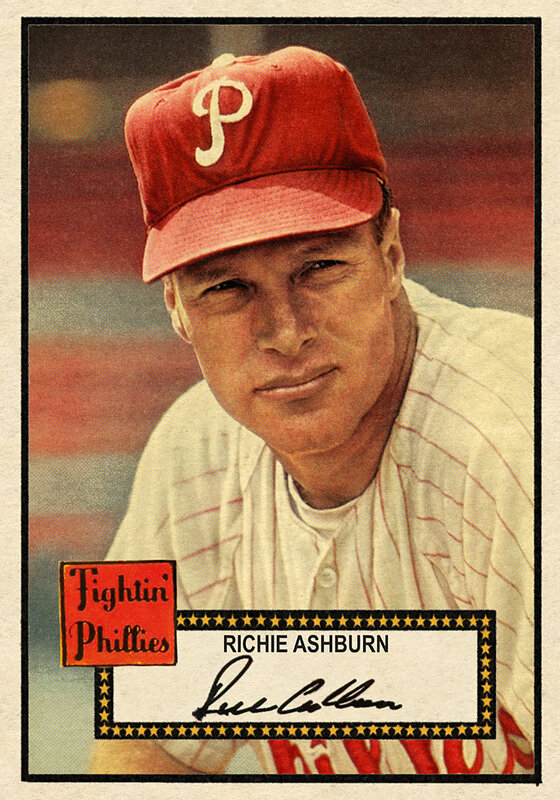 From our popular "Lost In The 50's" set, the '54 series contains 18 cards. Perhaps the most popular is this pasteboard of Stan Musial. The card has explosive color and exceptional detail. 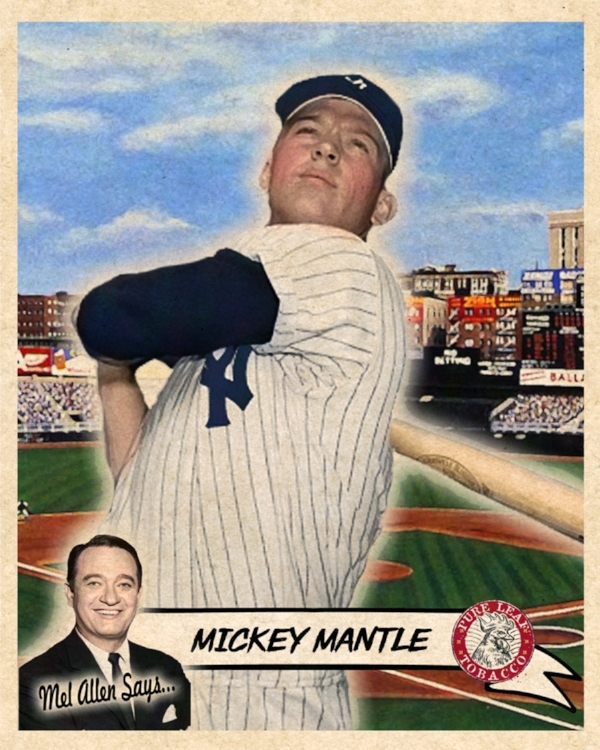 Card is highlighted with Mick's "Rookie Era" facsimile autograph and soft pastel-type colors lightly brushed over a black and white image from the spring of 1952. A spectacular offering. This high-number won't list again for quite awhile. One of our favorite cards ever offered. An action shot of a baby Don's whip-like arm in old Ebbets Field. 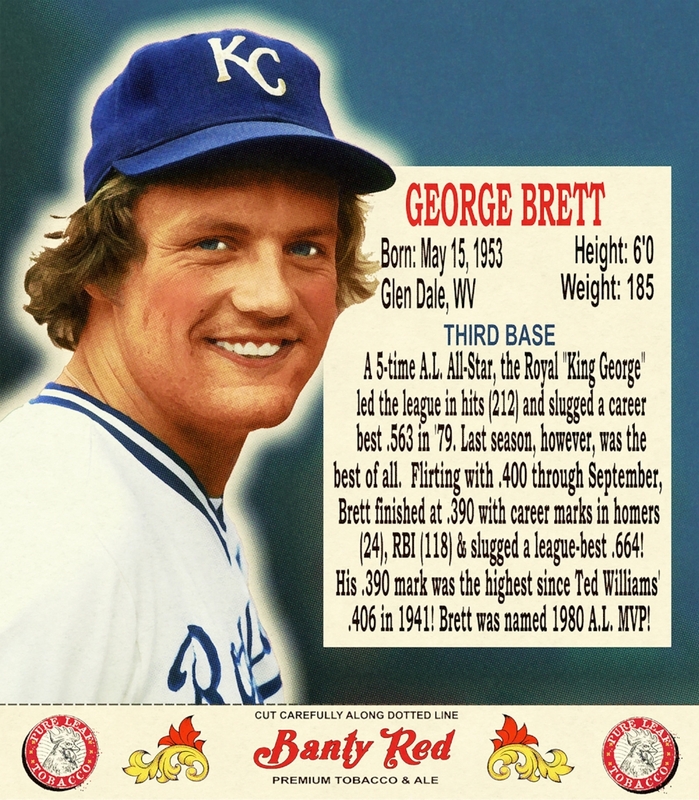 Gently hand colored and filtered, then lightly 'dodged' to highlight his features, this is a true wonder card. One of our favorites of all time. No detail was spared in creating this gem. "Lost In The Fifties" is a fun set of cards that includes 1953 & 1954 Topps-inspired baseball stylings with players that--for one reason or another--did not appear in the set that year. This Pee Wee was a blast to make and turned out gorgeous. 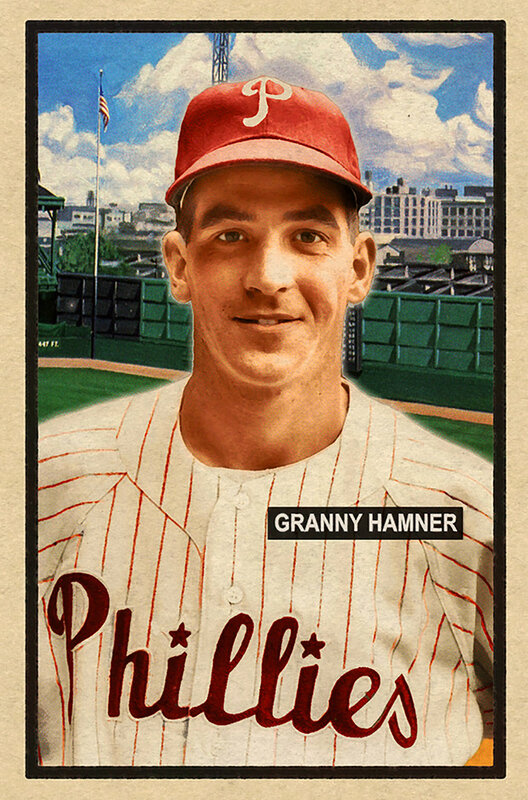 Popular Phils infielder and '51 Series low population with beautiful Shibe Park backdrop. One of 2017's prettiest cards. I just love my Campanella cards. This image was from the summer of '51. Great care was taken to match Roy's soft skin tone and dark eyebrows. One of Banty Red's first offerings, the Capital Of Baseball set contains 34 cards featuring the best of New York's 3 boroughs between 1950-1956. 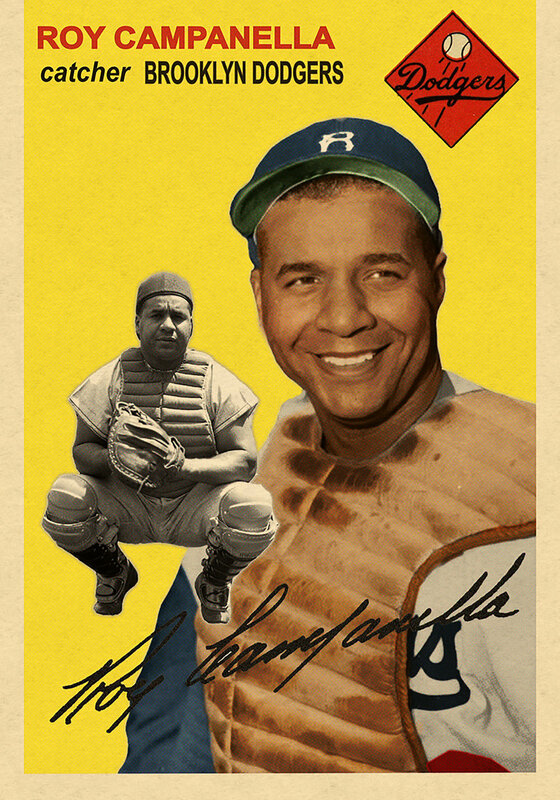 This beautiful Roy Campanella card, complete with Ebbetts Field's view of Bedford Avenue in Brooklyn is one of the sets' most popular singles. Individually hand-numbered to 5 prints each, the Grimes is a real stunner. Fantastic clarity, the card is triple filtered. It derives it's name from the Durham Tobacco Company contest of hitting a bull on the field. Underrated Superstar could do it all. 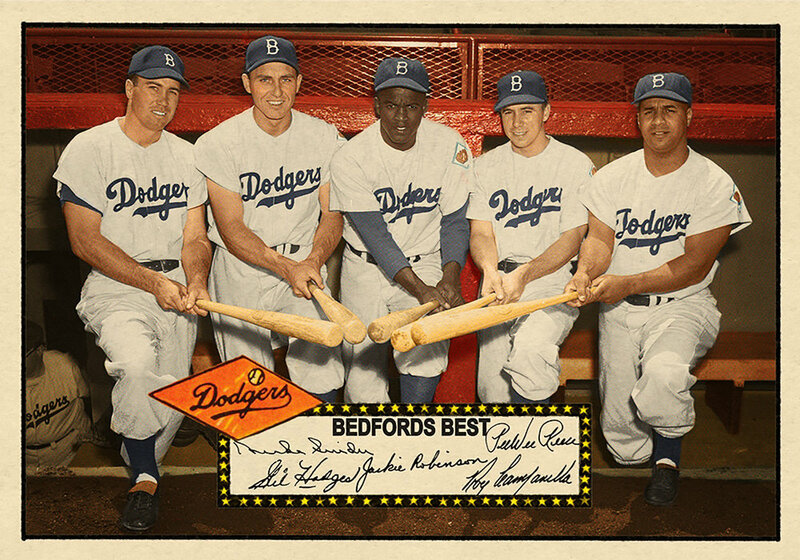 Meticulous colorization with special attention to Minoso's skin-tone. One of my favorite players of all time. Stunning portrait of the Phillies centerfielder. Beautifully hand-colored.